Sprint training is an effective way to burn more carbs relative to fat. 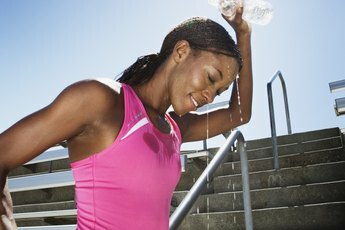 No matter what kind of workout you do, your body needs to produce energy to keep you moving. To produce this energy, you need fuel, which comes in the form of calories from fat and carbohydrate stores. Both cardio and resistance exercises will burn calories from both fat and carbs, but if you want to target carb stores exclusively, you'll need to concentrate on high-intensity workouts. Steady-state cardio exercises such as jogging tend to keep you in a heart-rate zone between 50 and 70 percent of your maximum. While the majority of the calories you burn with a morning jog come from fat stores, you'll also burn off a fair amount of carbs in the process. At a 50-percent exertion rate, you'll burn roughly 40 percent carbs compared to 60 percent fat. 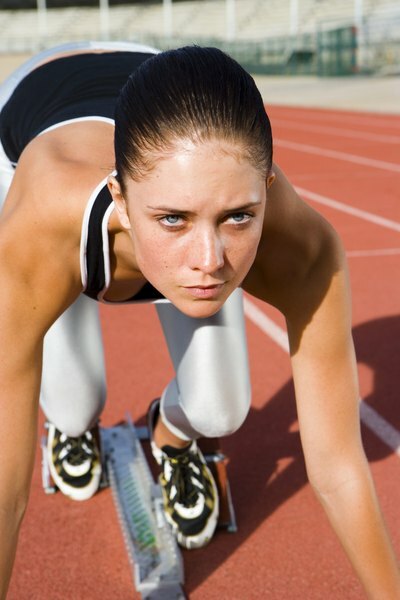 If you want to kick your carb-burning system into overdrive, consider adding sprints into your fitness routine. Sprinting is a high-intensity exercise that jacks your heart rate into the anaerobic zone and consumes a much higher percentage of carbs relative to fat. You'll also benefit from a lengthy afterburn effect following a sprint, where you'll continue to burn calories when you're at home sitting on the couch due to a ramped-up metabolism. Resistance training with body weight or free weights is an effective way to target carbohydrate stores, since it's a form of anaerobic exercise that has a negligible cardiovascular component. Your muscles need energy immediately to support resistance movements and they take it in the form of glycogen stored in your muscles. Resistance training also benefits from a similar afterburn effect as sprint training. Interval training is a viable alternative method of shedding carbs because it may represent the best of both worlds in terms of combining cardio with anaerobic workouts. 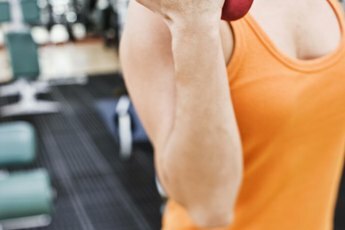 By alternating between periods of high and low intensity, you can burn carbs and recover between sets. This will allow you to exercise for a longer period of time, improve aerobic endurance and burn more calories from carbs.